It has now become much easier to play Australian Lottery Games. 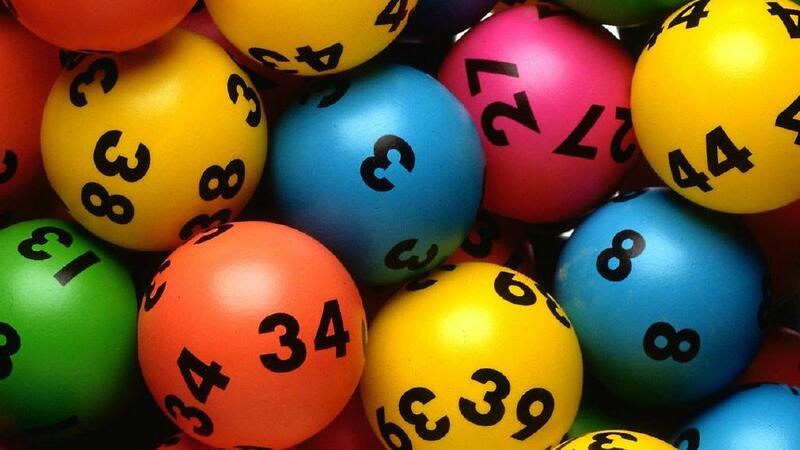 You can now play almost all of the lotteries be it Saturday Lotto, Powerball Lotto, Oz Lotto, Super 66, Australian Soccer pools, Syndicates and many others of such kind online with your PC, Mobile or Tablet. There was a time when you used to rush to the store to buy ticket and wait for days to again come back to the store to check your results. But with times things have changed due to technological advancement and the need of the society. If you look back into history then the first lottery in Australia took place in the 1880s in Sydney. It was a private sweepstakes that was quickly prohibited, despite being moved to other areas such as Queensland and Victoria. In 1916, the Australian government started their own lottery, named the ‘Golden Casket Art Union’, with the intention of raising money for charities and projects. Its first draw is credited with raising funds for veterans of World War One. So as said above there are multiple lottery operators in Australia licensed at state or territory levels, and also are state government-owned or privately-owned companies. Prizes and jackpots can reach tens and hundreds of millions of dollars. No more do patrons need to purchase tickets at news-agencies, convenience stores or petrol stations. Oz Lotteries operates under strict government supervision and is an accredited sales agent of the following Australia lottery operators: NSW Lotteries and Tattersalls. 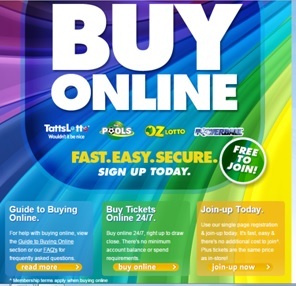 Purchasing tickets to play lottos and raffles through Oz Lotteries – an authorised online vendor – is completely legal in Australia. However it is to be noted that Oz Lotteries is not allowed to offer instant-win scratch cards. 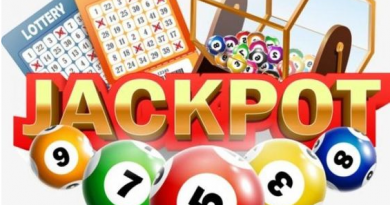 There are several lottery games syndicated across Australia, and that can be played by anyone across the country – and even overseas residents – by purchasing tickets online at www.OzLotteries.com. Based on the American game of the same name, Powerball is administered also by Tatts Group Limited, syndicated across the country. It is drawn weekly on Thursday nights. Super 66 and Lotto Strike: Super 66 is a national lottery played in all states except New South Wales – NSW plays a similar game called Lotto Strike, instead. 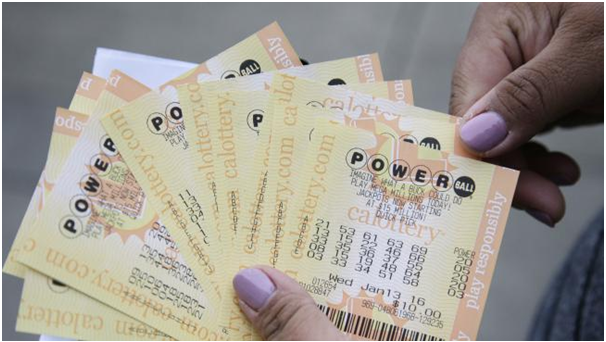 These lotteries are regarded as ‘add-on’ games in which players buy tickets in conjunction with other lottery tickets like Monday and Wednesday, or Saturday Lotto. Super 66 is drawn just before the main Saturday night lotto draw, while Lotto Strike is drawn on Mondays, Wednesdays and Saturdays, just before the big lotto draws. Administered by New South Wales Lotteries, these games are based on traditional draw lotteries (raffles) where a set number of tickets are offered for sale in each draw (usually 225,000). Players choose either random or sequential ticket numbers, and once all tickets are sold, the raffle takes place and a set of numbered tickets are drawn by a random number generator. Each lottery has a jackpot which grows until it is won and you can play $2 or $5 tickets. Based on Australian, European and other soccer matches around the globe, the Soccer Pools are drawn every Saturday. 38 matches are numbered from 1-38. For a standard game, you choose six numbers from 1-38. To determine the winning numbers, scores of each match are compared and the top six games’ numbers are gathered based on ranking rules: draws rank highest, then away wins followed by home wins. The seventh game is used as the supplementary number. The financial transactions for purchasing Aussie lotto tickets online, and withdrawing any winnings from your account at licensed and government-monitored sites such as Oz Lotteries is 100% secure. Oz Lotteries complies with standard online security measures and allows deposit methods such as PayPal, Visa and MasterCard credit and debit cards, BPAY and Diners Club International. Winnings are paid in accordance with set dates after the completion of the draw, and once paid to your account, are immediately available for withdrawal or additional purchases. Request a withdrawal by cheque or by direct deposit to your bank account (ID must be verified). 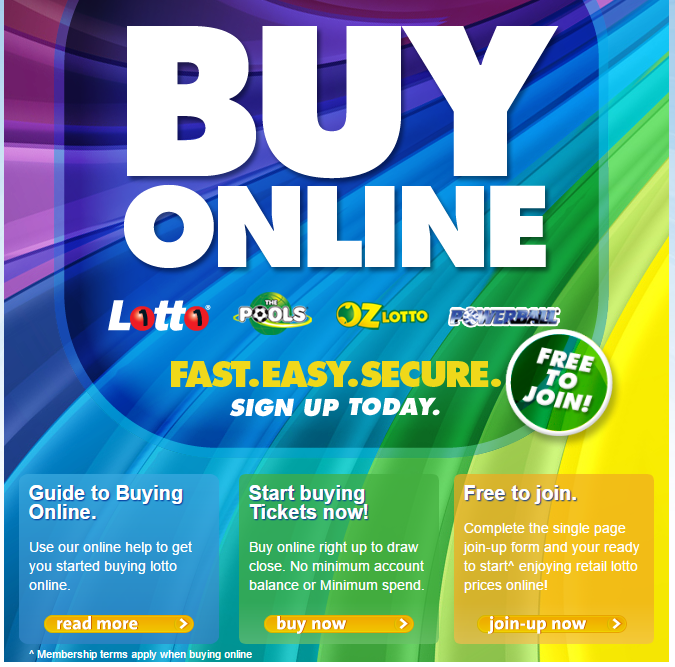 Customers receive an email confirmation for every Oz Lotteries transaction they have made, and you can view all purchased tickets in your account directly on your mobile or tablet device. With all the above lottery games to play online now you can also play Australian Lotteries as well as International lotteries online with a great mobile app called the Lottoland App. Aren’t things becoming so easy to sit with ease and comfort of your home, play lotto and win Big too.